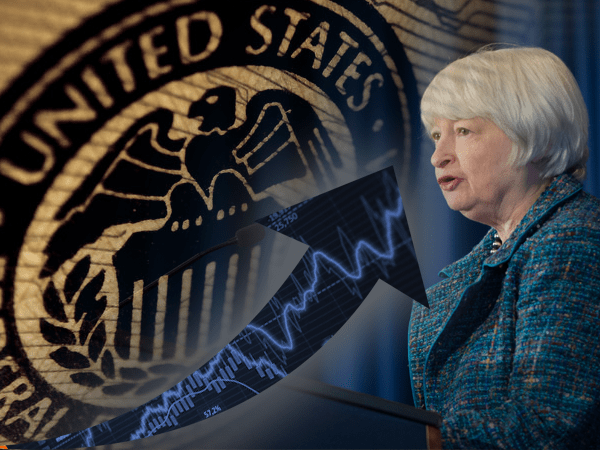 Markets are reacting sharply to an unexpected decision revealed in the Fed’s newly disclosed meeting minutes. The decision could drastically change the economy’s direction over the coming months, and cause rates to rise far faster than anticipated. Last month, we discussed how the Fed could implement a “stealth” or “backdoor” rate hike by trimming its balance sheet. At the time, nobody thought the Fed would take such action in the near term, but the meeting minutes reveal it’s coming soon. Here’s what this news means for Americans and their money. Before the crisis of 2008, the Fed’s balance sheet stood at roughly $1 trillion. Since then it has steadily risen to approximately $4.5 trillion, which is where it stands today. But why did it grow so quickly? Well, the Fed can use its power to buy bonds, treasuries, and other securities, which creates more liquidity in the market and encourages activity. Those purchases also passively lower interest rates. Essentially, the Fed prints money and uses it to stimulate the economy. The technical term for this is “quantitative easing.” The Fed uses it to give the economy extra support, albeit artificial support, and officials were strongly motivated to do a lot of it after our last major crisis. But the Fed’s excessive quantitative easing and suppression of interest rates over the past several years is completely unprecedented. In fact, it’s the most extreme case of the central bank “coddling” our economy in U.S. history. With what the Fed’s done so far, we’re in completely uncharted waters, which means nobody knows what will happen when officials start slowly removing all the artificial support they’ve built into the economy over the past 8 years. The Fed has already taken the first step — raising the federal funds rate (so far twice this year, with more hikes expected) — toward undoing its interventionist policies of the past several years. Now Fed officials are about to take off the economy’s “training wheels” altogether by pulling back its buying programs as well — which experts believe could send interest rates soaring faster than the economy can handle. The combined effect of both actions is a total wildcard, and the Fed is moving more aggressively than anyone anticipated. Nobody knows what could happen in the coming months, and all the uncertainty is making markets nervous. Both the stock and bond markets have come to depend on the Fed’s programs — both the low interest rates and the balance sheet expansion — in the post-crisis years. Stocks, as measured by the S&P 500, have surged more than 250 percent since the recession lows, while interest rates have remained low across the spectrum. Any fiddling with a $4.5 trillion batch of bonds, then, could have major consequences if it’s not done the right way. Fed critics have worried for years that the central bank’s reluctance to unwind crisis-era policies long after the crisis passed poses substantial dangers. The day is coming, then, when that will be put to the test. Many view the Fed’s current strategy as a major risk, and on the back of the release of the Fed’s minutes this past Wednesday, the markets showed some signs of faltering. For stocks and most other traditional investments, that likely means one of two things in the coming months. 1.) Markets remain turbulent and volatile from growing uncertainty. 2.) Markets will fall drastically as a consequence of the new policy. In either scenario, it would make sense for Americans to keep any money they aren’t willing to lose out of the market. But if you don’t want your hard-earned dollars to waste away to inflation in a savings account, where can you seek shelter? For both protection and profit, expert analyst Todd Gordon says gold may be the answer. Gold has traded in a range since the end of March, but Todd Gordon sees a rise in market volatility coming that could send the yellow metal higher. The TradingAnalysis.com trader commented Thursday on CNBC’s “Trading Nation” that recent comments by the Federal Reserve could spell more uncertainty in the market. Potential rate hikes aside, Fed minutes released on Wednesday from the March meeting stated its intent to start shrinking its $4.5 trillion balance sheet later this year. “We’re seeing some volatility in the markets,” said Gordon. “I actually want to look at the gold market, which could be moving up here” off the uncertainty that could result from the Fed. As the Fed embarks on a journey to revert the greatest act of central banking intervention in history, it could give Americans a chance to benefit from gold in a way that’s just as historic.